As an employer, does your business involve hazardous products that are handled by your workers? Do you know as a business owner, you are responsible for providing WHMIS training and certification to your employees to ensure better safety in your workplace? If you have these queries, then you must get in touch with us. We as a forklift and equipment training agency help your employees to get trained in this field of heavy industries. We incorporate WHIMS training in Ottawa in our syllabus adhering to the 2015 regulations. It stands for The Workplace Hazardous Materials Information System. It is a type of training program where it is taught how to safely operate the hazardous materials in the industrial place. The WHIMS certification is a proof that you have duly completed the training and possess the required knowledge of handling of such materials. They include Oxidizing Gases, Gases under Pressure, Explosive Substances, and Flammables etc. to name a few. If any of your products are identified as WHIMS, then you will be liable to provide the training to your employees who come in contact with those products. The Canadian law states that every employee who works in a dangerous environment is always at a greater risk of exposure to harmful chemicals and the types of injuries that come from the lack of knowledge of operating heavy vehicles. This is why training is a must in working in the heavy industrial sector. As an employer, by providing this certification training in your industrial premises, you will be complying with the law. It is a program nationally approved and its objective is to ensure better safety for every worker in the country. Forklift training forms a part of the heavy industries. It is very much required to safely operate the heavyweight trucks and other equipment in the industrial environment and avoid any injury. 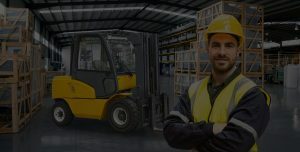 This is also the responsibility of an employer to provide this training to their employees with the help of an authorized forklift training agency in Ottawa. Upon completion of the forklift training, the employees are awarded a certification. Having a forklift license in Ottawa means an employee is qualified to operate a forklift safely. This subsequently increases the job opportunities of a forklift professional. There are various certification courses available in forklift which is usually of short duration. They are duly recognized by the Occupational Safety Health Administration (OSHA). As an employer, you may arrange a formal classroom session in your workplace or hire a Forklift training agency in Ottawa like us to provide it outside of your business premise. The training includes both theory and practical sessions to enable every employer to successfully operate the forklift. The WHIMS law also states that periodic refresher training should also be required for the employees depending on the changing condition of the workplace. So it is completely an employer’s responsibility to check if, at any stage of their duties, the employees need to rehearse their skills. As an employee, by updating your training, you can attain better knowledge and skills to be able to discharge your duties. As an employer, by re-analyzing your training policies in your organization, you will know the skill level of your employees.